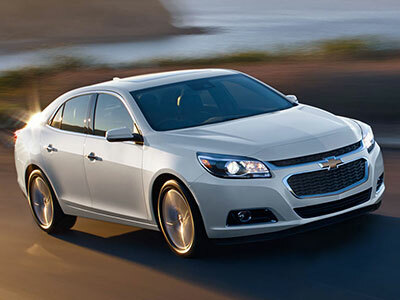 Both models deliver comfort and support, but the 2015 Chevrolet Malibu has the edge in this category. For such an affordable sedan, its cabin is incredibly upscale. Passengers love its soft-touch surfaces and luxurious materials. Both rows of seating deliver plush cushions to maximize comfort during long trips and commutes. The trunk offers 16.3 cubic feet of cargo space for family-friendly grocery trips and gym bags. The BMW 3 Series is a close second when it comes to passenger space and comfort. Materials are top-notch and all passengers can count on generous head- and legroom. The trunk delivers 13 cubic feet of cargo space. We're especially impressed with the 2015 Chevrolet Malibu's standard safety lineup. All Chevy Malibu models come with OnStar telematics, which help drivers solve unexpected problems with features like automatic crash notification and on-demand roadside assistance. Shoppers can choose to add a rearview camera to make backing up a snap. There's also an Advanced Safety package that heightens driver vigilance with high-systems that include forward collision and lane departure warning. In government crash tests, the Malibu earned a perfect five-star rating for overall protection. The Insurance Institute for Highway Safety gave the Malibu its top score of "Good." Like the Chevy Malibu, the BMW 3 Series comes standard with items designed to maximize on-road stability, including antilock brakes and stability and traction control. The BMW Assist offers emergency communication features like stolen vehicle recovery. Safety-enhancing options include a rearview camera and forward collision warning system. Shoppers will love the standard comfort and convenience features on the 2015 BMW 3 Series. The entry-level 320i model treats passengers to Bluetooth phone and audio connectivity, letting drivers make hands-free calls. The 6.5-inch display makes it easy to access a variety of infotainment apps. Keyless entry and ignition mean drivers don't have to rummage around for keys. The Chevrolet Malibu impresses with its own standard lineup, making it a close second in this category. The OnStar telematics system comes with a 4G LTE Wi-Fi connection that turns the Malibu into a mobile hotspot. With Bluetooth phone connectivity, entry-level Malibu drivers can also make hands-free calls. Keyless entry saves time in the parking lot. The 2015 Chevrolet Malibu is our pick for power and performance, thanks to its impressive fuel economy. The base engine is a 2.5-liter four-cylinder engine rated for a substantial output of 196 horsepower and 191 pound-feet of torque. Its engine stop-start system works smoothly and maximizes fuel efficiency. On the road, this engine achieves 25 city/36 highway mpg. Shoppers can also choose the available 2.0-liter turbocharged four-cylinder engine, which makes 259 horses and 295 pound-feet of torque. It achieves 21/30 mpg. Both engines are paired with a six-speed automatic transmission that powers the front wheels. All BMW 3 Series sedan models can be had with either rear- or all-wheel drive. All-wheel drive is standard for wagon models. Sedan drivers can choose between a six-speed manual and eight-speed automatic transmission. Wagons come standard with the automatic. The entry-level 3 series model comes with a 2.0-liter four-cylinder that produces 180 horses and 200 pound-feet of torque. The 328i comes with the same engine, tweaked for a more impressive output of 240 horses and 255 pound-feet of torque. With the automatic transmission, this engine is EPA-rated for 27 mpg combined. The 328d comes with a turbocharged 2.0-liter diesel four-cylinder engine that makes 180 horses and 280 pound-feet of torque. The rear-drive sedan models achieve an incredible 37 mpg combined, making this the line's most fuel-efficient model. 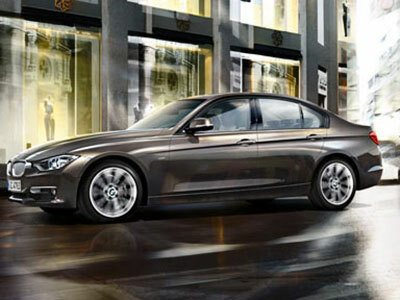 The 335i sedan comes with a turbocharged 3.0-liter V6 engine that produces 300 horses and 300 pound-feet of torque. With the automatic transmission, the 335i sedan achieves 25 mpg combined. Although both the 2015 Chevrolet Malibu and BMW 3 series are impressive sedans, the Malibu is our overall pick. It's very affordable and families love its spacious, modern cabin. A variety of comfort and convenience features give drivers peace of mind. On the road, safety features work to keep passengers protected. The Malibu's engine lineup is both powerful and fuel-efficient.